That was honestly one of the best hostels I ever stayed in. There were so many activities offered, mostly for free, like free spring roll cooking class, pool partys, free rum & coke, a night market tour etc. I really liked the atmosphere there, it was really relaxing and at the same time really social. So I met a lot of new people. Ein wirklich schönes Hostel. Kann ich nur weiterempfehlen. Sehr freundliches Personal und immer hilfsbereit. Das Frühstück ist OK. Die umsonst drinks abends sind auch ok. Alles in allem ein sehr schöner Ort zum verweilen. Perfect! Location was just near the old town and the rooms were realy clean. Breakfast was so good. Super Hostel, welches sehr zentral liegt und mit sehr netten und hilfsbereiten Mitarbeitern. Alles in allem ein sehr sehr gutes Hostel in dem man sich wirklich wohlfühlt! 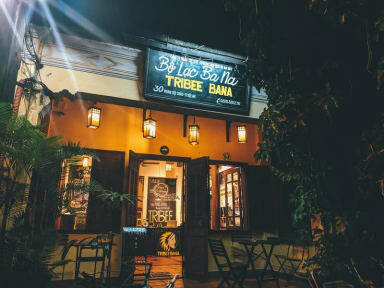 The activities at Tribee Bana are so much fun and almost all are for free. 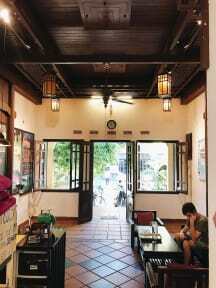 The atmosphere is really cool and it is easy to meet people as a solo traveler. The place has been very clean and staff is extremely helpful. The beds are too soft for my taste and our door lock didn't really work. breakfast was amazing and everything is in walking distance. Definitely recommended! Das Hostel ist definitiv überbewertet. Die Lage ist gut, die vielen kostenlosen Aktivitäten sind super aber unser Zimmer war naja. Wir hatten ein 4 Bett Dorm. Das Zimmer gibt leider keinerlei Privatsphäre durch Vorhänge oder ähnliches. Zudem gibt es keinerlei persönliche Ablagefläche und keine Fliegengitter. Das Bad war ziemlich eckig und müffelig. Frühstück gibt es offiziell bis 10 Uhr, aber bereits 15-20min vor zehn ist alles leer. Für die 7€ pro Nacht gibt es wirklich tolle Home stays.